Are you ready for a new giveaway??? I'm so excited to present Maynard's Mousetrap to you. My husband and I created Maynard's Mousetrap 12 years ago. 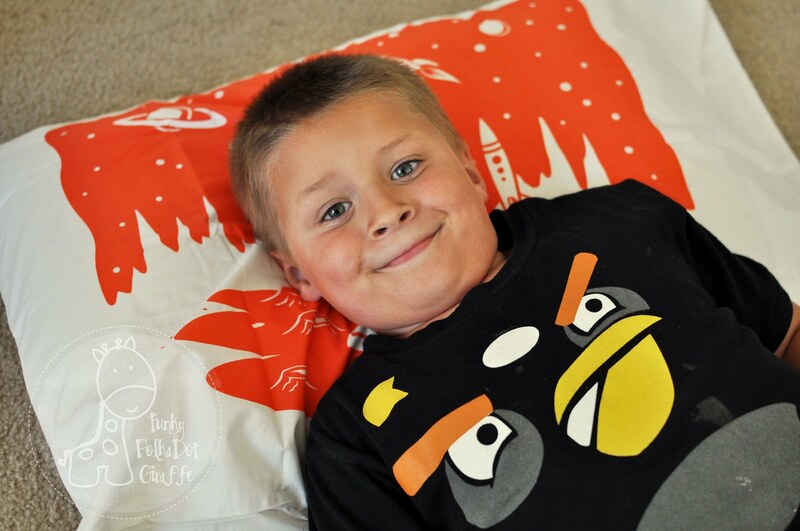 We come up with the idea together, I make stylized unique pillowcases and he creates the image for us. We love kitsch and retro. 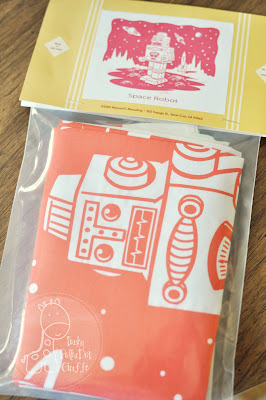 Julie sent me a set of Orange Robot Pillowcases for review. They came so perfectly packaged and ready for gift giving. The kids couldn't wait to rip into them. In fact, I made them wait! and I didn't want them to open them until I took pictures. 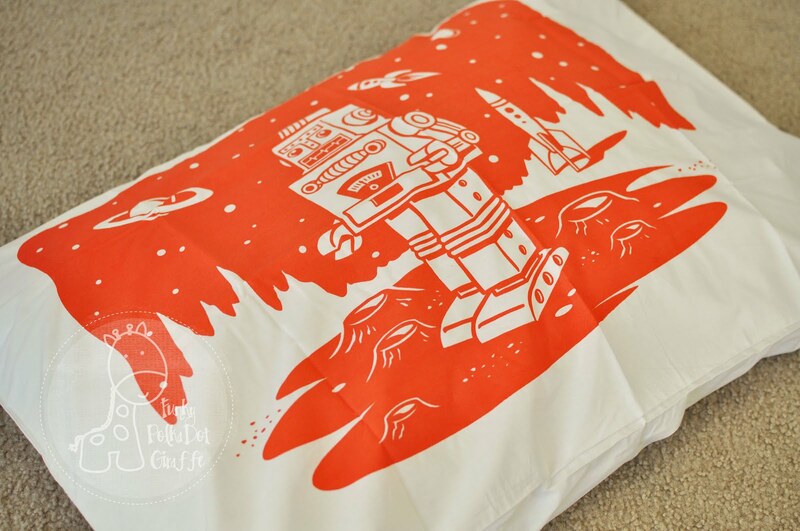 "Now can I have my robot pillowcase?" 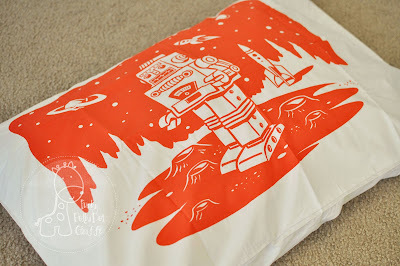 the robot pillowcases did not disappoint! The full image was gorgeous and the kids love sleeping on them. Maynard's Mousetrap is giving away a $25 shop credit today!!! 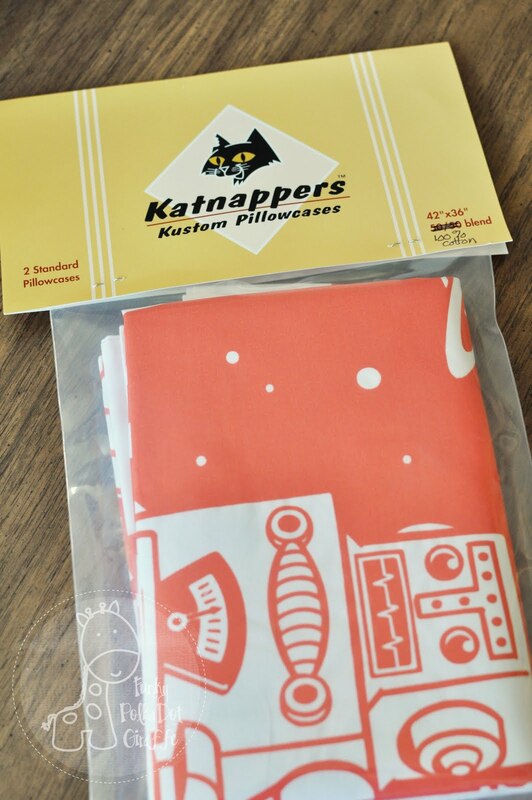 Now you can get kitschy pillowcases for you or someone you love! 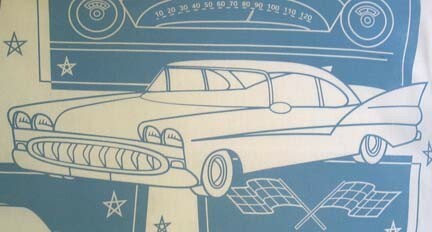 Visit Maynard's Mousetrap and leave a comment telling me your favorite thing and who it's for. This giveaway is open to USA and Canada residents only. This GIVEAWAY will end on Tuesday, August 30th at midnight PST. The winner's name will be posted in a blog post. My favorite item in the shop is the Scooter Girl Pillow Case. My 8 year old daughter would love that! Just gotta throw in that I LOVE the shop name! My cat's name is Maynard and well it just works so well haha. Fun stuff! 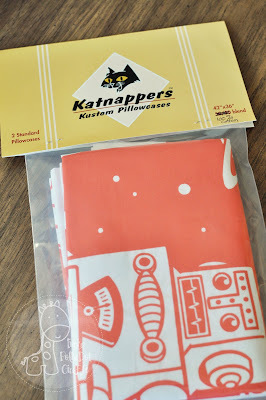 My 3yr old son would go bonkers for the robot pillowcase, his twin sis would love the sunny-yellow flowers pillowcase! How fun! 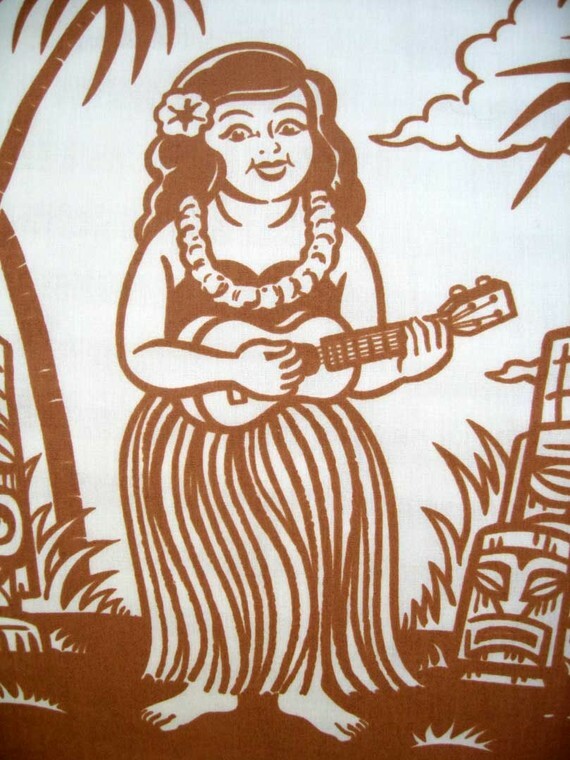 I would love the red burlap picnic bag! I love the Hula Girl Pillowcase Set & I would give to my daughters to use. i love pink robots! 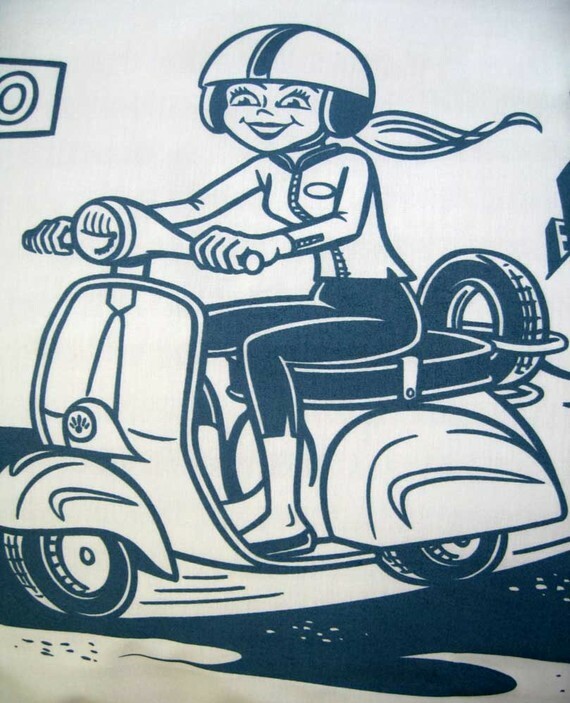 i think this would be a great gift for my BFF! This is a hard decision. I love the hula girl for myself but my son would love the orange robot. Thanks for introducing me to these. I like the robot napkins... but my little one would prob. 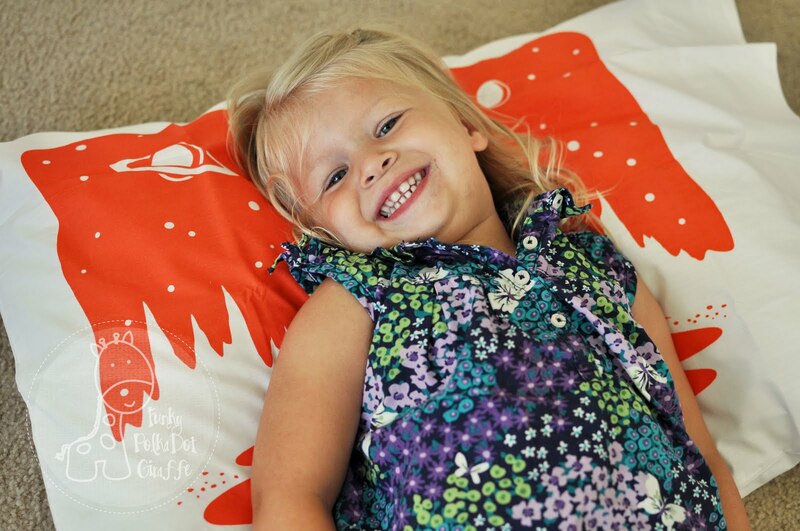 love the hula girl pillowcase set!